Today I’m sharing my most popular organizing blog posts of 2018. Keep reading to see which posts were your favorites! It’s time for one of my favorite posts of the year – the best of the blog for 2018! I always love when my favorite bloggers share their most popular blog posts because I usually discover some amazing blog posts that I somehow missed during the year. As I was looking through my analytics, it struck me just how much the Small Stuff Counts community shares my obsession with organizing. You have no idea how incredibly happy that makes me! 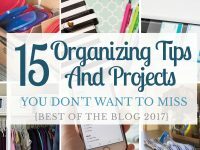 Basically, all of 2018’s most popular blog posts are about organizing so I’ve gathered all of your favorites up into this one blog post for you today. I hope you find some inspiring and helpful posts on this list! Before we dive into all things organizing, I want to thank you for being a part of my blogging journey. It’s so fun to connect with you and I cannot wait to see what 2019 has in store! 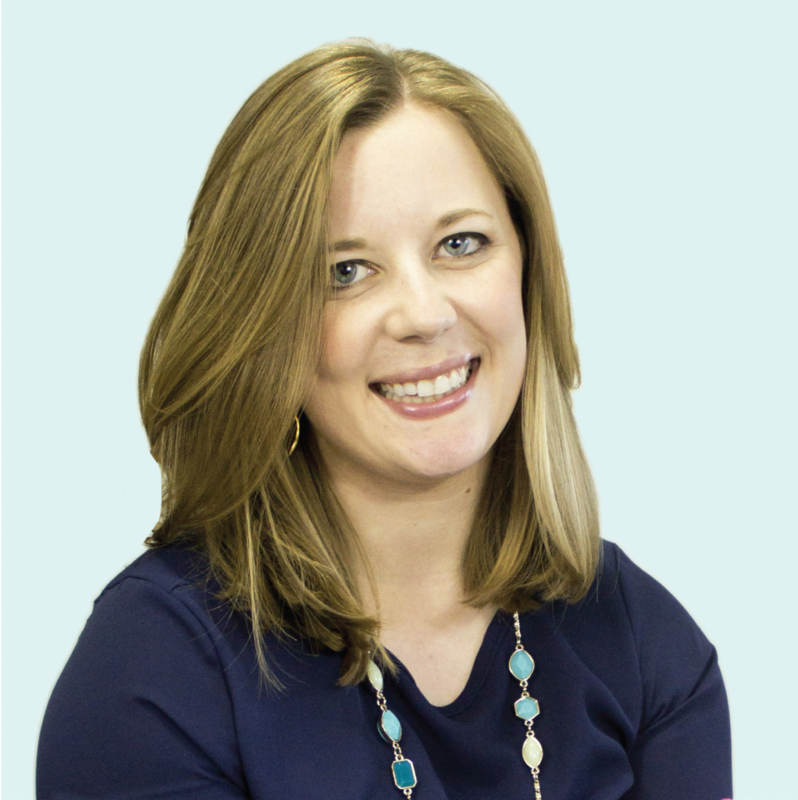 As I navigated life as a new mom this year, I shared a lot of nursery- and baby-related tips and projects. 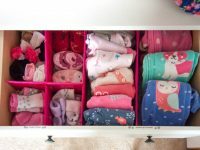 I shared some great nursery dresser organization ideas and a super detailed tour of every single dresser drawer in our nursery. 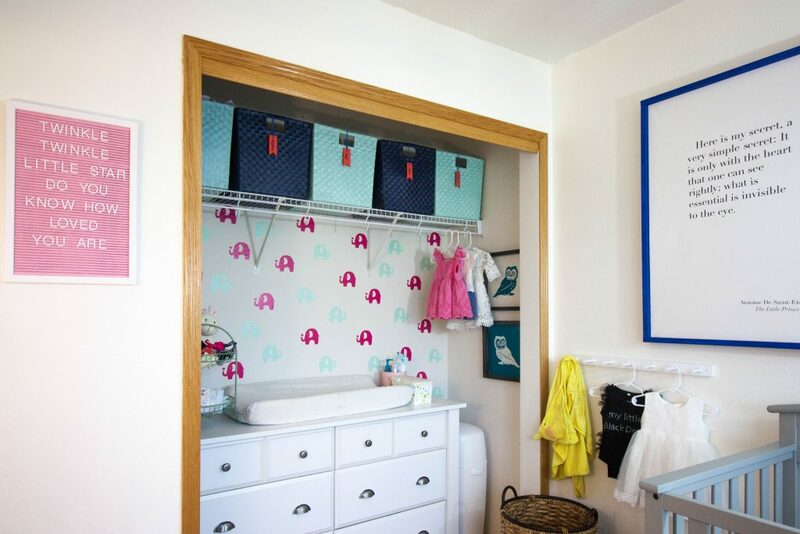 If you’re setting up a nursery or just need some great tips for organizing kids’ clothing, go check out this blog post! We love talking routines around here, and I shared a look at our evening routine with a baby in the house last fall. I loved reading about the routines of other moms as I was preparing to become one myself and I hope this post is helpful to other mamas out there. I shared a big blog post with the 6 planning tools and systems I use to organize my life last January. 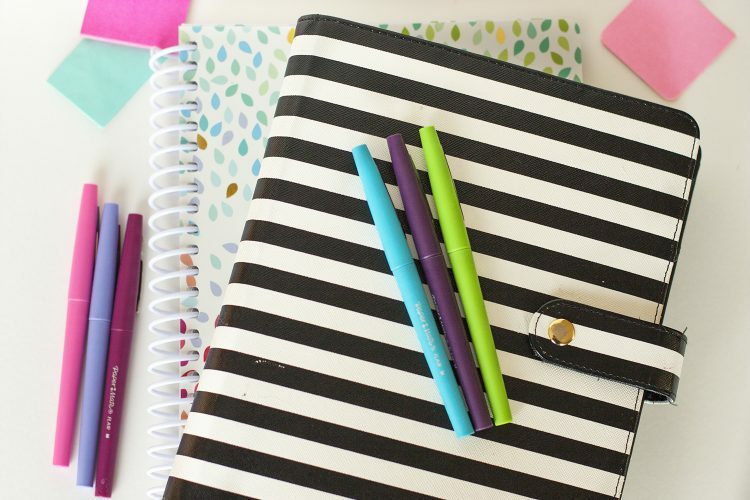 This has been one of my most popular blog posts over the past year and I actually updated it a couple weeks ago and added a 7th item to the list: daily journaling. Go take a look at the 7 systems and tools I can’t live without! One of the best things I did when we moved in the fall of 2017 was taking the time to clearly label all of the moving boxes. I shared the free printable labels for moving boxes and so many people have used them to organize your own moves! 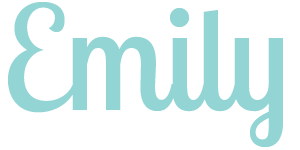 You all love free printables! I shared some helpful tips for planning your day along with a free printable to-do list. Taking just a few minutes to plan your day before it begins can really help you stay focused! 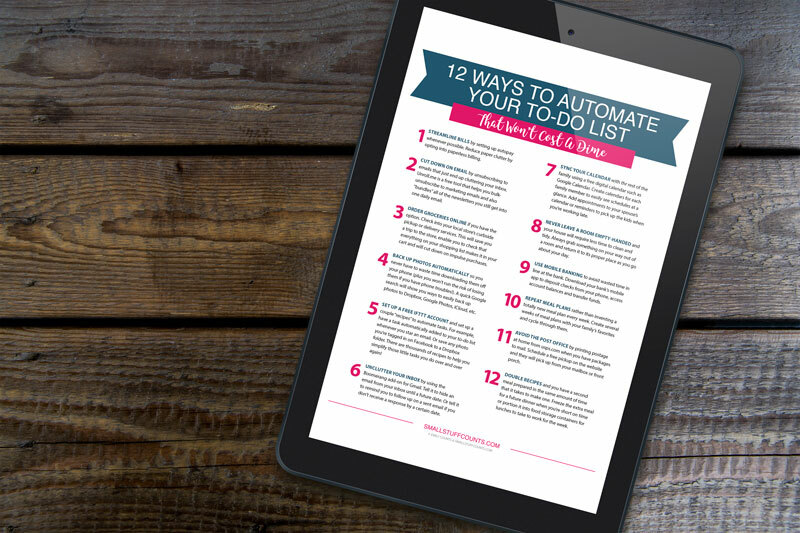 I created a new guide with 12 ways to automate your t0-do list and it’s become one of my most popular freebies. I love sharing ideas for saving time on your daily errands and tasks! Go download the guide and choose a couple of ideas to try out for yourself. 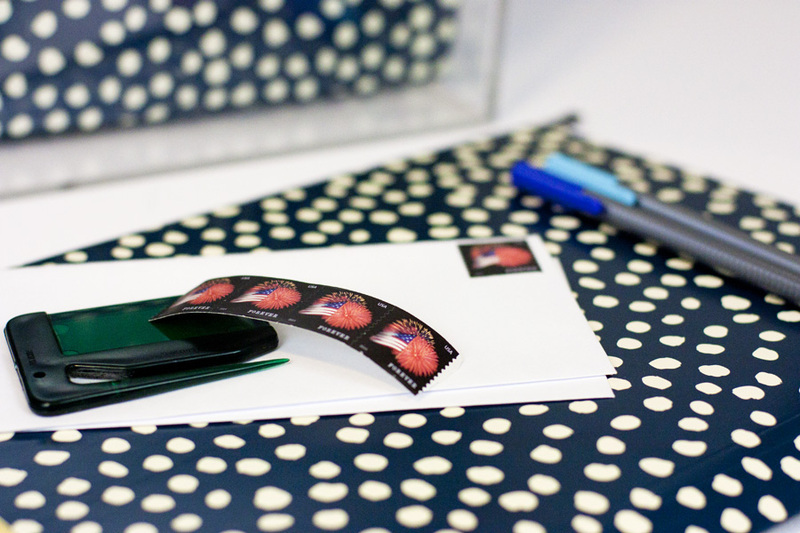 If there’s one thing I know for certain, it’s that you LOVE free printables! I shared more than ever this year and compiled them all into one page so you can easily locate the ones that are most beneficial to you right now. This free printables archive page is a collection of all of the printables I’ve shared on the blog over the years. The free printable 2019 calendar I shared last fall has been downloaded more times than I could have imagined. You love a great calendar! I think it’s popular because it’s so versatile. Use it to track your schedule, projects, habits, workouts, meal plans, and more. If there’s one thing I heard loud and clear in my reader survey, it’s that everyone wants to declutter their home. I shared these free printable decluttering signs last year and they’ve been a very popular download for good reason. 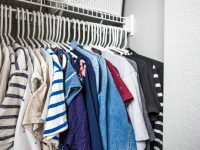 Decluttering is the first step to creating an organized, beautiful home. 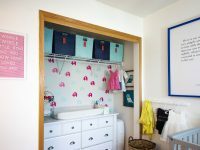 You all loved seeing how I hacked the closet in our small nursery to make room for a changing table and to organize all of the baby things. 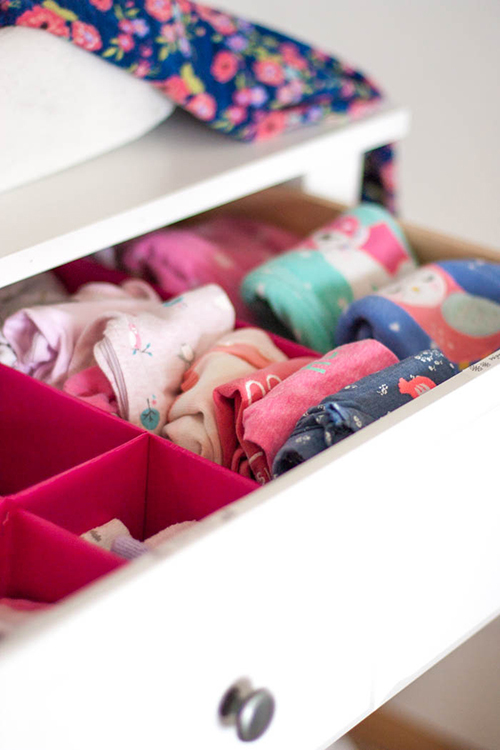 Go read about organizing a nursery closet and using a dresser as a changing table if you need some tips for organizing your nursery! There are some blog posts from past years that continuously get a lot of traffic even a couple years after being published. These five posts are from past years but are still constantly top the charts as some of my highest-trafficked blog posts. Man, has this post resonated with people! 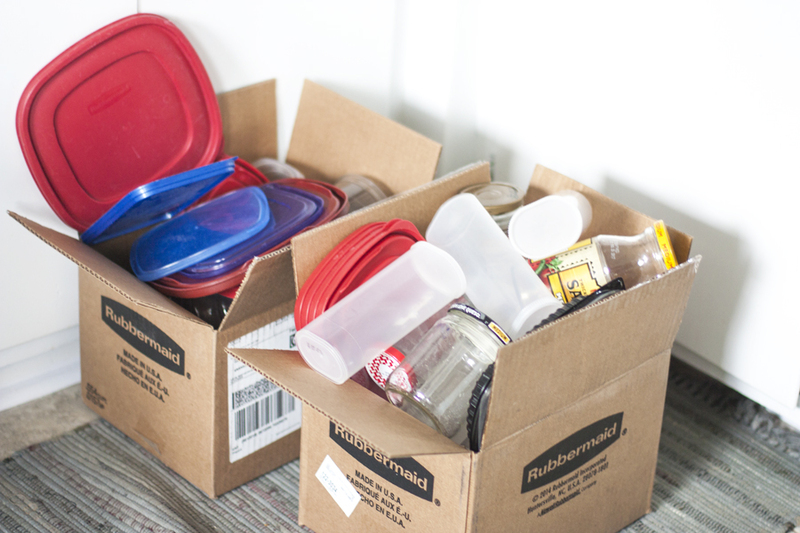 We clearly all need a little motivation and help decluttering our kitchens and organizing tupperware. My “tupperware drawer” actually makes me happy now that the clutter is gone and I’m still obsessed with those Rubbermaid food storage containers 3 years later. It seems everyone struggles with keeping their bedroom floor from becoming a dumping ground for discarded clothing. This one little thing helps our bedroom stay a lot cleaner and more organized! I talked a lot about routines, and this post shares the specific steps to create a daily routine to set yourself up for success. I’m so glad this continues to be a favorite! Whew! 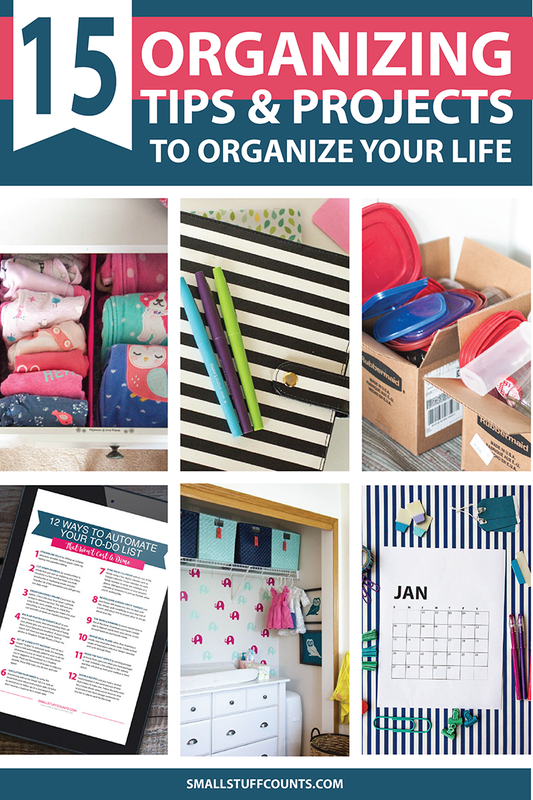 Those were all the top organizing tips from 2018. 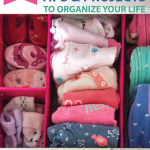 The more I blog, the more crystal clear it is that you all love anything organizing. 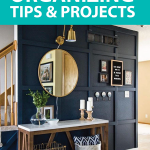 I plan to share lots of new tips and projects with you in 2019 and am definitely going to keep focusing on all things organizing! 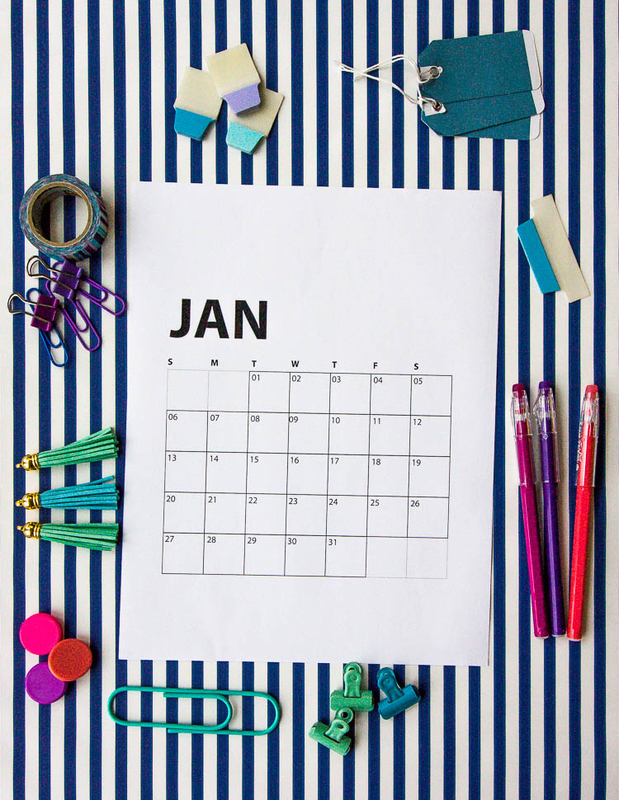 What kind of organizing tips or time management projects would you like to see more of in 2019? Please leave your questions and ideas in the comments!